The rights of animals, whether it is simply to extend human rights to them or even legal rights, are a very contentious and often emotionally charged topic of conversation. A good example of this is the recent monkey selfie legal saga, which grappled with the vesting of intellectual property rights in a monkey (discussed more on this blog here and here). The parties settled the matter out of court late last year, but the Court of Appeals saw to still rule on the matter, irrespective of this settlement (which is within their powers to do). This is very important, since it will set the legal position of animals' rights in IP firmly on one camp; yes or no. This writer has been waiting for the ruling with baited breath, which was published only last week. By way of a brief primer, the case of Naruto v David Slater concerned a series of photographs taken by a crested macaque in 2011 (named Naruto by its Next Friends in the litigation, PETA). The monkey took the photograph using Mr Slater's camera, which he had configured and left for the monkeys in the area to play with. One such picture became an Internet sensation, leading to Mr Slater asserting his rights in the picture as its author. PETA took the matter to court, claiming the monkey had rights in the picture, and that Mr Slater had infringed its copyrights by publishing it. Even though the parties settled the matter, as discussed above, the Court saw it fit to decide on it anyway due to its importance as a developing area of the law. Judge Bea, handing down the majority's judgment, started off with determining whether PETA could represent Naruto as its next friends in the case. This is established through showing that "…(1) that the petitioner is unable to litigate his own cause due to mental incapacity, lack of access to court, or other similar disability; and (2) the next friend has some significant relationship with, and is truly dedicated to the best interests of, the petitioner". The Court agreed that Naruto would indeed fulfil the first requirement, but needed to assess whether PETA had a significant relationship with the animal. PETA agreed that it had does not claim to have a relationship with Naruto that is any more significant than its relationship with any other animal, and thus fails the second requirement. The Court emphasised that animals do not have authorisation by the courts to be represented by a next friend. In other words "…if animals are to be accorded rights to sue, the provisions involved therefore should state such rights expressly". Judge Bea then moved onto the matter of whether Naruto itself has standing under Article III of the Constitution. Under a previous Court of Appeals decision in Cetacean Community v Bush, the court rejected standing for "…all of the world's whales, porpoises, and dolphins" under environmental protection laws as animals were not expressly included within the provisions. 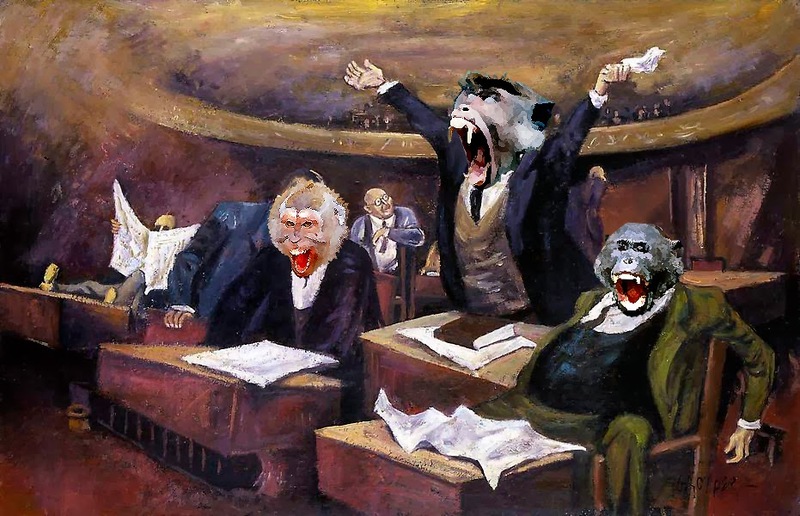 In short, the court concluded that the test for animal standing as "…if an Act of Congress plainly states that animals have statutory standing, then animals have statutory standing. If the statute does not so plainly state, then animals do not have statutory standing". Under the Copyright Act there is no express mention of any animal rights for intellectual property. The provisions do, however, imply a requirement of humanity or the possibility of marital relations. The Court did conclude that, based on the statute and the Cetacean decision, "…that Naruto - and, more broadly, animals other than humans - lack statutory standing to sue under the Copyright Act". The case is a very important one, not only for the unusual nature of judgments being issued after settlement, but it puts the rights of animals under copyright to bed once and for all. Clearly, animals cannot have rights, and this writer considers this to be the most logical outcome, even without an express mention to that effect in the legislation. One can therefore finally see a conclusion to all of this monkey business.